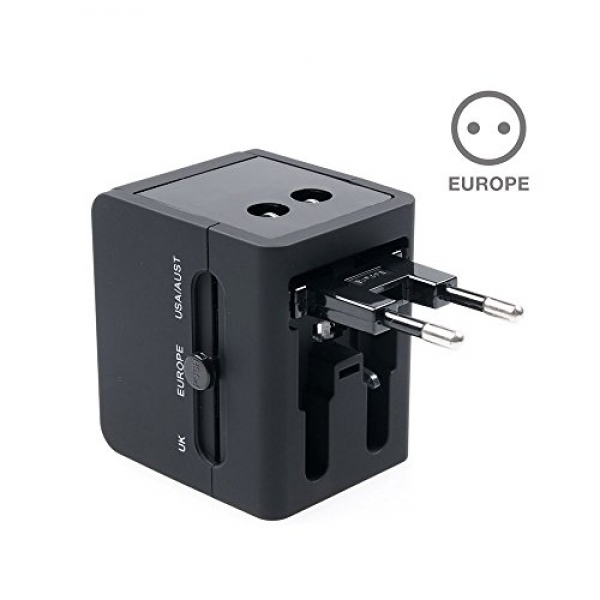 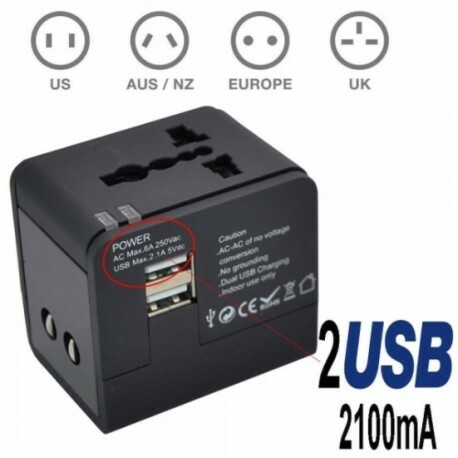 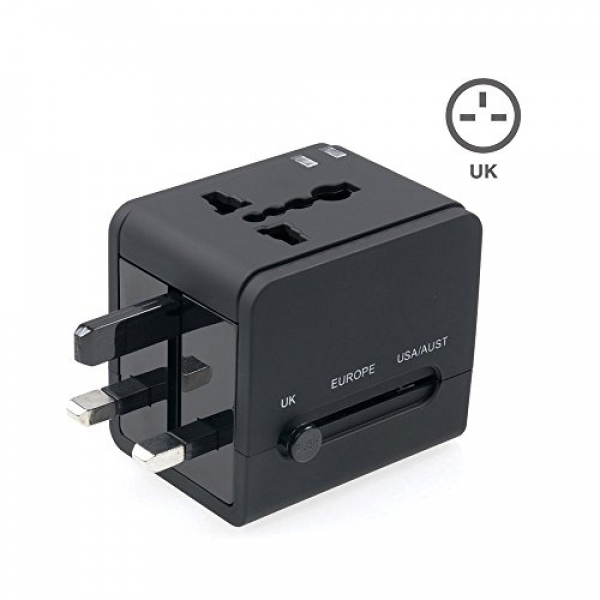 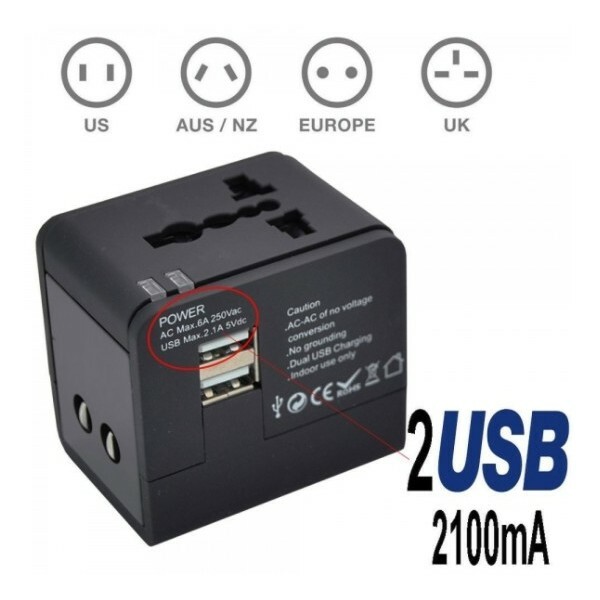 Adapter universal with dual usb travel charger, charging, works anywhere in the world. 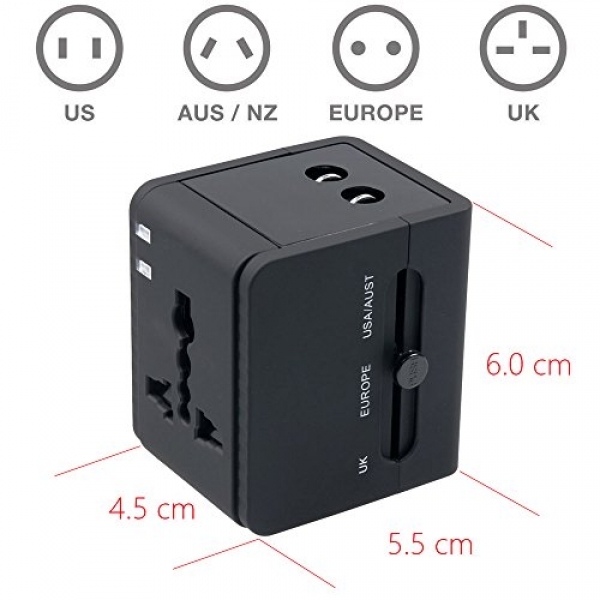 2 ports USB 5V 2.1 has to directly charge your tablet, PC safe, phone mobile smartphone, iphone Samsung, camera, MP3 player, speakers etc. 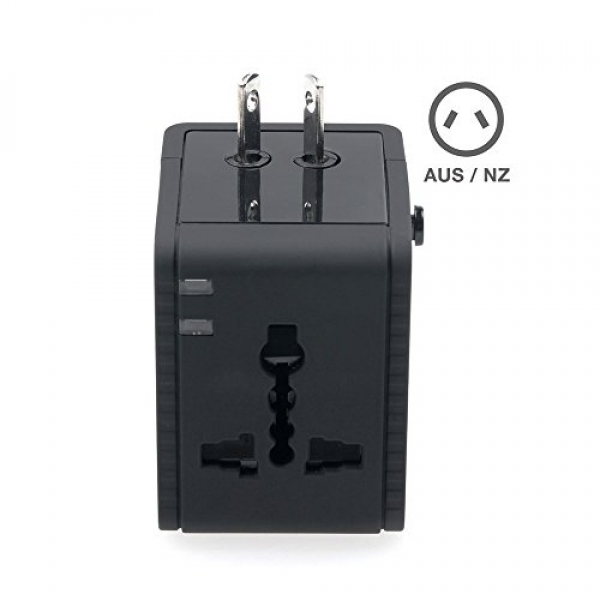 Security shutters (built-in safety shutters) prevents users from directly touching the catch.